With over 15 years of experience, ABD is your trusted source for on-time deliveries and guaranteed satisfaction. We offer multiple size dumpsters to meet your clean up needs. Same day and next day deliveries available. For a small (one room) renovation project or a deep spring cleaning, the 15-yard dumpster would be your best bet. This is equivalent to roughly 4-5 pickup truck loads. 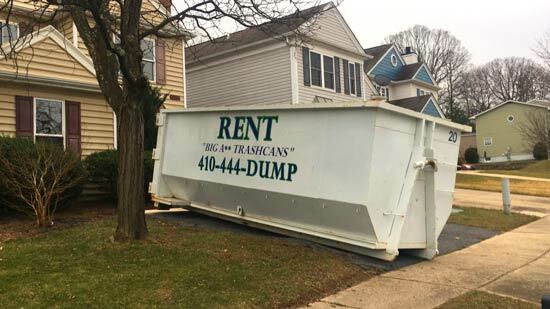 If you’re planting new landscaping or renovating your basement and think a 15-yard dumpster will be too small, the 20-yard dumpster will be your best solution. This is a little more than 6 pickup truck loads. If you have a large construction project, community clean-up or demolition job, the 30- yard dumpster will be the best bang for your buck! This is around 9-10 pickup truck loads. Whichever one you choose, you can be sure that ABD Dumpster Service will deliver on time and to your satisfaction. 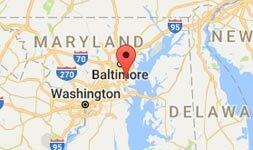 If you have any questions, or would like to schedule your dumpster serivce, call us today at 410-444-DUMP (3867).